“What’s the easiest way to get started on AWS?” is a common question. Although there are many well established paths to getting started, including using AWS Elastic Beanstalk, serverless computing is a rapidly growing alternative. Serverless computing allows you to build and run applications and services without thinking about servers. 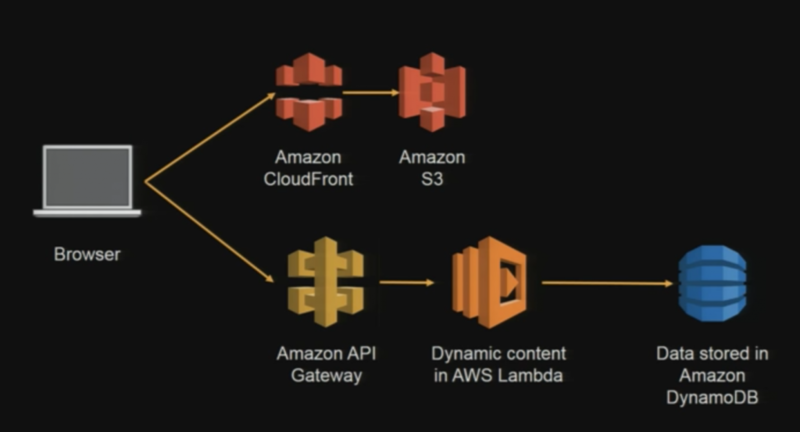 On AWS, the AWS Lambda service is the central building block for serverless computing. AWS also provides several other services to support serverless architectures. These include Amazon API Gateway, which you can use with Lambda to create a RESTful API, and Amazon DynamoDB, a NoSQL cloud database service that frees you from the burden of setting up a database cluster. A completely serverless architecture is shown in the following diagram.